Beach Cinema Alehouse is available for Birthday Parties and Celebration Events. Party events include: A party host to greet the participants and stay with the group until the party is seated in the movie. Reserved Seating for the movie. Discounted pizzas and a discounted Birthday Combo (16 oz. soda, 46 oz. popcorn, promo candy) for each attendee. Guests also can enjoy a behind the scenes tour and a birthday message on the road marquee sign. A minimum of 6 attendees and a host fee are required to book an event. Celebrate that special day with a movie and a party at Beach Cinema Alehouse! 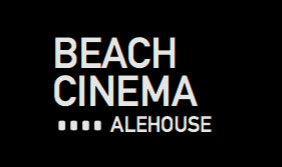 Beach Cinema Alehouse is available for Group Events, Business Meetings and Private Screenings. Enjoy the movies or just utilize our facilities for your meetings. Groups of 25 or more can request tickets for the film of your choice. Group Discounts are available for groups of 50 or more. Restrictions may apply. Private Screenings are available for groups of 100 or more. To book a Group Event or Private Screening please call (757) 963-6764 or fill out and e-mail this event form. Concessions Discounts are available for your group if purchased for all attendees. GROUP SALES TICKETS ARE AVAILABLE FOR BUSINESSES AND ORGANIZATIONS IN INCREMENTS OF 50 TICKETS FOR $375. Please fill out the form provided below someone will contact you by phone to arrange payment!